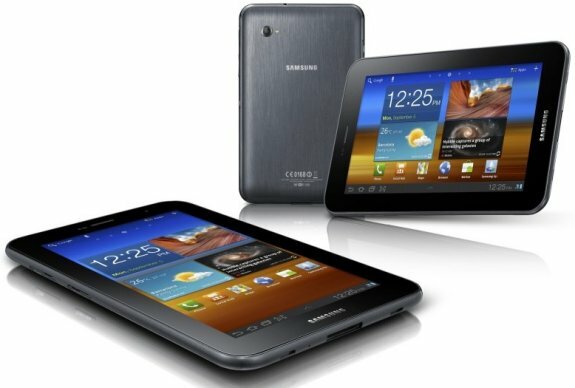 Samsung added the Galaxy Tab 7.0 Plus to its tablet lineup. This new 7-incher features a 1024 x 600 pixel resolution and packs a 1.2GHz dual-core processor. The Galaxy Tab 7.0 Plus is available in 16GB and 32GB variants and runs Android 3.2 "Honeycomb". Other features include a 3MP digicam with 720p video recording, 802.11a/b/g/n WiFi, quad-band GSM/GPRS/EDGE and 3G with 21Mbps HSPA and GPS support. The tablet will ship in late October but pricing is still unknown. Samsung Electronics Co., Ltd, a leading mobile device provider, today announced the launch of the GALAXY Tab 7.0 Plus. Offering a portable, rich multimedia experience on a 7-inch display, the GALAXY Tab 7.0 Plus packs power and productivity into a chic lightweight design. The GALAXY Tab 7.0 Plus runs Google Android Honeycomb, enabling an easy and intuitive user experience. "Samsung pioneered the seven-inch tablet market with the launch of the GALAXY Tab, marking an innovation milestone in the mobile industry. Building on the success of the GALAXY Tab, we're now delighted to introduce the GALAXY Tab 7.0 Plus reloaded with enhanced portability, productivity and a richer multimedia experience" said JK Shin, President and Head of Samsung's Mobile Communications Business. He added "GALAXY Tab 7.0 Plus is for those who want to stay productive and in touch with work, friends and content anytime, anywhere." Furthermore, the GALAXY Tab 7.0 Plus offers voice and video call support, with no need for a headset. Users can see friends and family from anywhere in the world in high quality thanks to the device's larger screen. Additionally, the GALAXY Tab 7.0 Plus features Social Hub, Readers Hub and Music Hub services. Social Hub aggregates the user's contacts, calendar and email along with instant messaging and social networking connections all within one easy-to-use interface. Readers Hub provides e-reading content such as e-books, newspapers and magazines. Music Hub enables access to over 13 million songs even when out and about.